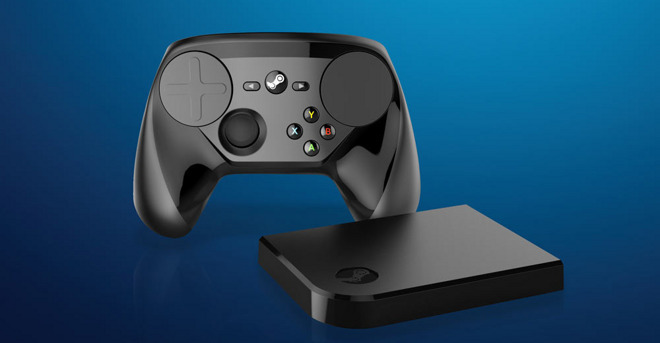 Valve will be providing updates and free games for the Steam Link and Steam Controller, in light of both products lacking expected Mac support, according to an email sent out to early buyers. The Steam Link isn't working at all with Macs, Valve acknowledged in the email, obtained on Monday by Eurogamer. The Steam Controller doesn't currently support gamepad emulation on Macs, though people running the Steam Beta client should be able to use keyboard/mouse emulation. Valve blamed "temporary software issues" for the situation, and promised that the Controller's Mac gamepad emulation should be functional "within a few weeks." As for the Steam Link, the company said simply that it's working on an update that will provide full support. Gamers are encouraged to use the Steam Beta to get updates as soon as possible. In compensation the company is gifting the Valve Complete Pack, which normally costs $100 and includes all of Valve's games, even unreleased titles. People who choose to return the hardware have 60 days instead of the usual 30, and can still keep the Complete Pack. The Steam Link is intended to stream games from any computer running Steam to a remote TV, where people can also hook up gamepads for a console-like experience. Although it supports third-party gamepads from companies like Microsoft and Logitech, people are ideally expected to use the Steam Controller, which features trackpads for more mouse-like precision.